We are building an amazing new building to replace the asbestos roofed hall put up as a prefab after the V2 rocket blast destroyed its predecessor in 1945. The finance, effort and energy taken to maintain the building will be used to focus on discipling and ministering to the community. Unlike its predecessor this new building has been designed to reach out from and attract people in in the 21st century. 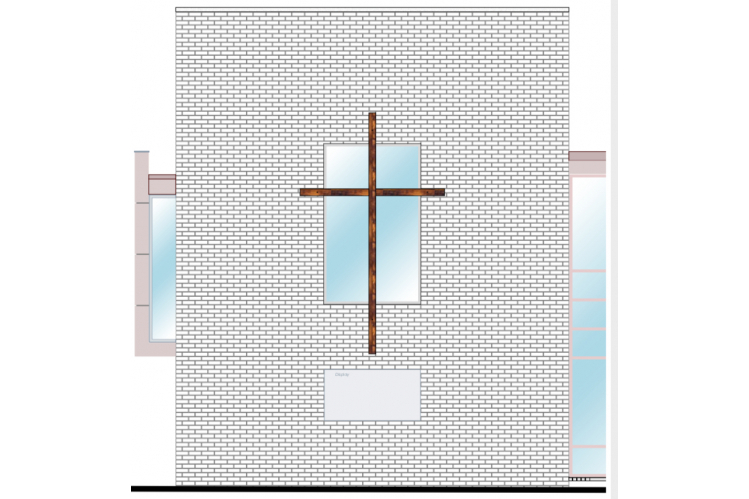 We are planning for the future with space to grow from our current congregation of 90 in the new 160 m2 hall. We are excited about the new project and all it offers. 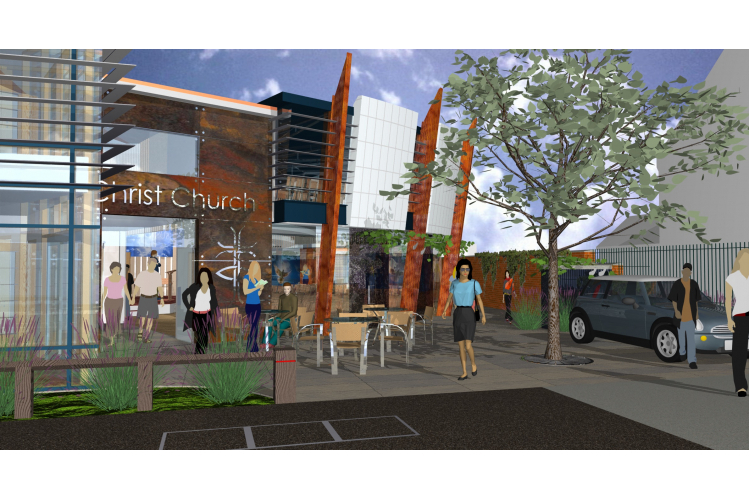 The closed gated space at the front will be opened out into a welcoming area for open air ministry. The building will have an attractive reception area to replace the current narrow corridor approach. 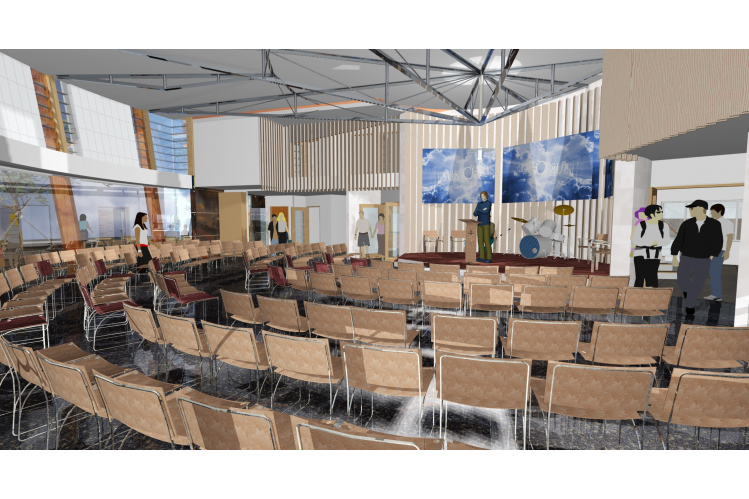 The church worship area will be inspirational – as well as available and user friendly for other community groups and activities. The kitchen and hospitality area will be modern, clean and safe. The youth and children will now meet in rooms with natural light and adequate heating.